TruJet has given opportunity to fly from Chennai to selam for under privileged children on the occasion of Children’s day under Trujet’s Wings of Hope Programme. Forty students belongs to SRVV school of Vellapa Sembana Gounder Memorial Trust has flies on Wednesday at 10:20 AM Through Trujet aircraft with free of cost. The Students belongs to Selam and they travelled to Chennai on Tuesday for excursion. Trujet offered them free fly on their return journey from Chennai to Selam on Wednesday. Trujet is committed to carry 300 under privileged children throughout the year so that they may aspire to build a better life for themselves. This is part of a yearlong programme where Trujet will work with NGO’s who are championing this cause. 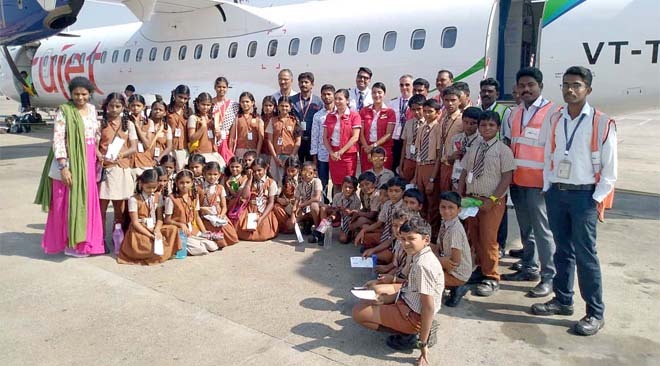 Earlier in July, Trujet flew forty students of Valmiki foundation from Hyderabad to Bellary (Hampi) and return. Trujet, India’s first schedule commuter airline has made a notable place in the aviation space by pioneering the UDAN project, thereby making central government vision a reality. 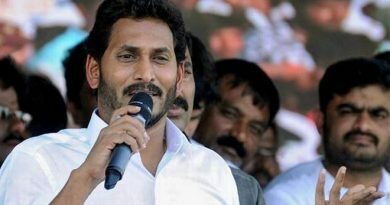 Trujet now connects fourteen major destinations in South India including Cuddapah, Nanded, Bellary, Mysore and Salem in the Regional Connectivity Scheme. Trujet has carried 1.2 million passengers in the three years since it started flying. Trujet has been further awarded with 20 new routes in the Western & Eastern states and will connect Kandla, Porbandar, Keshod, Jaisalmer, Jalgaon & Nasik from Ahmedabad & Burnpur, Cooch Behar, Tezu, and Rupsi from Guwahati. This ushers the second phase of our UDAN effort, where Trujet connects Bharat with India and promotes the air connectivity of unserved/ underserved cities to the metros. Trujet is planning organic and inorganic expansion to support its future demand. 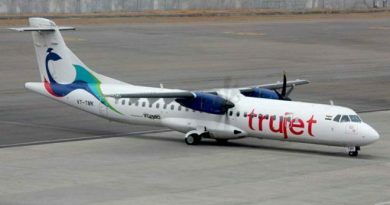 Trujet is the first airline to successfully fly all routes as part of its first bid under UDAN and the Ministry of Civil Aviation has issued a Citation to Trujet for the same. Trujet has been awarded the “Most Promising Airline” for the year 2018 from India Travel Awards –South 2018. Trujet is a regional air carrier based out of Hyderabad. Trujet schedule offers convenient connections between important business and religious destinations. With a fleet of 5 ATR-72 aircraft, Trujet currently operates to 14 stations including Hyderabad, Aurangabad, Chennai, Goa, Rajahmundry, Vijayawada, Nanded, Cuddapah, Mysore, Vidyanagar, Tirupati ,Salem, Bellary and Mumbai . Trujet is the only airline to operate on Hyderabad-Aurangabad routes. Trujet connects Mysore, Vidyanagar, Nanded & Cuddapah which are RCS sectors under UDAN project, connecting them to the nearest Metro cities, ensuring an overall growth of the country and bridging the gap between Tier I & Tier II cities.